When Marc Benioff launched Salesforce in 1999, he thought he had it all planned out. The CEO wanted his company to be based on a new kind of technology -- cloud computing. He wanted to create a new business model based on subscriptions. And he wanted the firm to prioritize philanthropy. The one thing he overlooked? Ensuring women's equality. 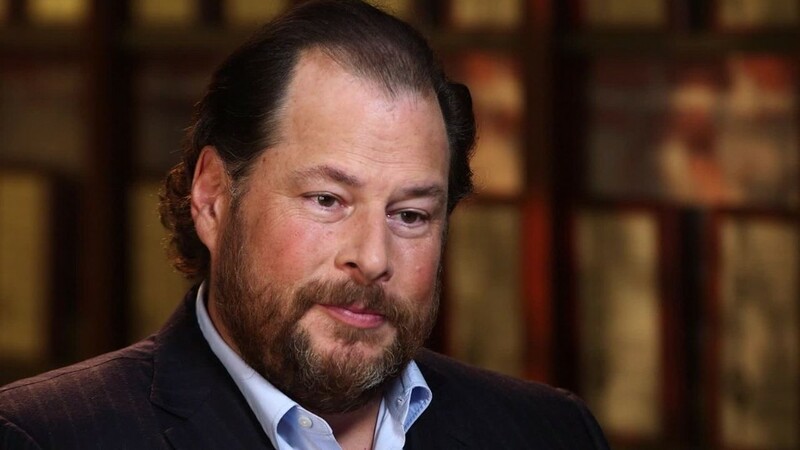 "I wish I could rewind time and go back and put that women's equality issue into the culture from the beginning," Benioff told CNN's Poppy Harlow. "Looking back, 16 years, that was as big an issue as the philanthropy issues for me now." Less than 30% of Salesforce's 16,000 employees are women. At the leadership level, the percentage drops to 15%. Benioff told Harlow he has an aggressive goal to employ an equal number of women and men, and he thinks it's "absolutely doable" within five years. "We have to take the goal of 50-50," he said. "There has to be a goal. This should be a metric that every CEO manages." Salesforce (CRM) has already implemented a number of programs aimed at hiring more women and pushing efforts to make women more visible within the firm. One initiative, dubbed Women Surge, requires meetings to include at least 30% women. 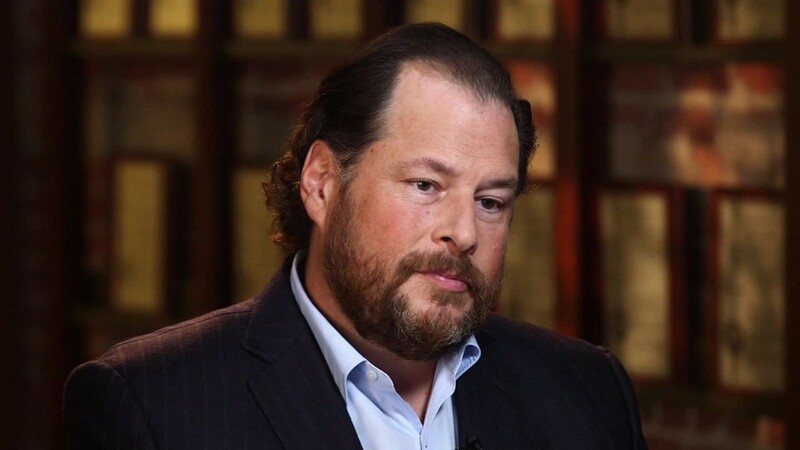 Benioff also said he wants to make sure women are always interviewed for open job positions, and increase mentorship opportunities. The issue of pay equality is another problem the tech industry veteran wants to tackle. Earlier this year, Benioff promised to review all employee salaries to ensure men and women are paid equally for the same role. "I would really like to achieve that in 12 months," he said, but admitted he will probably need a few years. The evaluation process, which is already under way, has already revealed some inequality issues. "We are correcting that," said Benioff. "Fortunately, we haven't found as much of it as I was worried we might have found." On the bright side, he added, Salesforce has found that the company's 20 top women are paid more than the 20 top men. Salesforce isn't the only big tech company focused on improving diversity and equality issues in the workplace. Most recently, Intel (INTC), Apple (AAPL), and Google (GOOGL) have also committed to helping correct gender inequality. Benioff is one of the most outspoken CEOs in the tech industry, often taking to Twitter to share his views on a wide range of national social issues. In the spring, the 50-year-old executive, who says he leans conservative but isn't a Republican or Democrat, publicly opposed Indiana's controversial religious freedom law. He also told Harlow he is a staunch supporter of a $15 minimum wage. While some have questioned his political ambitions, Benioff said he is simply doing what he thinks is right as a leader. In general, he believes CEOs should feel more empowered to speak out. "I think it's part of our training, [that] we are supposed to focus on our shareholders, on EPS," he said. "Well guess what? It's 2015. The business of business is not business. The business of business is improving the state of the world."